You need Burke Landscape Supply for your Landscape Equipment Sales & Repair Delaware County! Call us today at 610-494-9600. We sell and repair the top brands of landscape equipment. Call us about our new mowers from eXmark, FERRIS, ECHO. We are your choice for commercial and residential Landscape Equipment Sales & Repair Delaware County! We carry eXmark commercial mower parts and accessories including replacement blades, filters, spindles, pulleys, tires, and more. We carry Ferris commercial mower parts and accessories including replacement blades, filters, spindles, pulleys, wheels, and more. We have the genuine Echo parts and repair that you need to get your lawn and garden equipment running like new again! 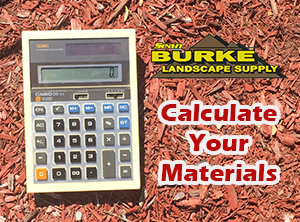 If you need a RedMax supplier, choose Burke Landscape Supply in Pennsylvania. We have the latest in RedMax equipment. STIHL produces the number one selling brand of chainsaws and a full line of outdoor power tools including blowers, trimmers, brush cutters, and more! Burke Landscape Supply has two locations in Delaware County for all your landscape equipment sales & repair needs. Call or visit our main location in Trainer, PA or our second location in Clifton Heights, PA. Come visit us at either location. While you are there, check out the latest mowers, trimmers, blowers, line trimmers, chainsaws, and snow equipment. Stop in our shop today. Come to Burke Landscape Supply for your lawn equipment parts and repairs. We provide sales & repair service on most residential and commercial landscape equipment. We have a full repair facility on-site at each of our two locations. Burke Landscape Supply also has the maintenance parts to “Keep Your Equipment Running Right” all year. Choose Burke Landscape Supply for access to the best products from eXmark, Ferris, Echo, RedMax and STIHL. We sell new equipment and parts. Burke Landscape Supply has genuine parts to ensure your repair is done right and done well! We have a large selection of landscape equipment and parts for your outdoor projects. Burke Landscape Supply sells commercial mower parts including replacement blades, filters, spindles, pulleys, tires, and much more. Come buy your replacement parts for chainsaws, trimmers, and more.